Kelly Rowland has wrapped up promoting her new book and she also debut a new youtube channel, showing she's not slowing down no time soon. On Saturday(May 6th) she posed on the carpet at the 2017 VH1 Dear Mama: An Event To Honor Moms in New York. For the occasion, she wore a CYNTHIA ROWLEY SPRING 2017 floral lace embroidered double v-neck dress with black underlining underneath for coverage. 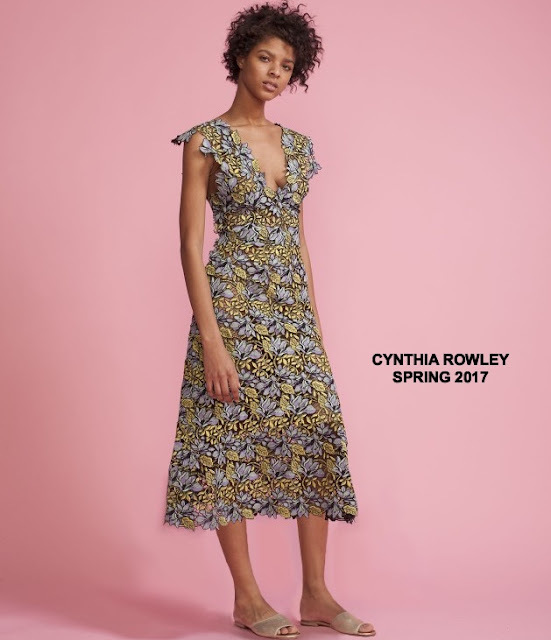 Kelly's exact dress wasn't featured in the look book so it is most likely part of the edit collection. The length on Kelly's version was better suited on her. SHINESEEK jewelry, a wavy bob with bangs, glossy lips and grey ankle strap sandals finished up her great look. 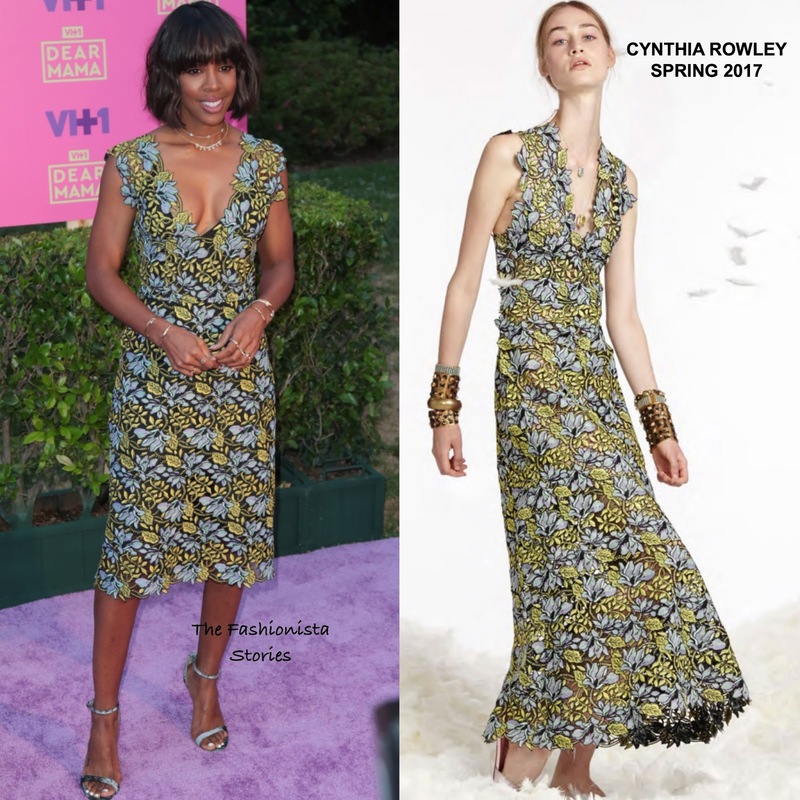 You can get Kelly's Cynthia Rowley dress via the designer's website HERE.